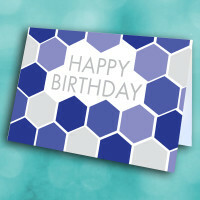 This bright and blue birthday card is sure to be a hit with the birthday boy or girl. 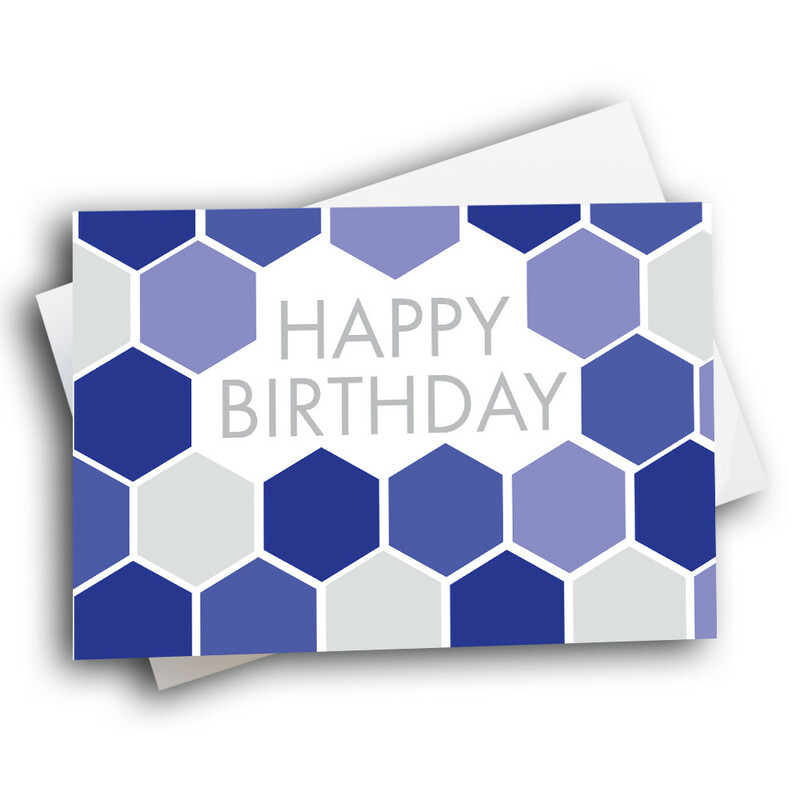 This is a card guaranteed to catch the eye of anyone recieving it, with its bright, bold design. 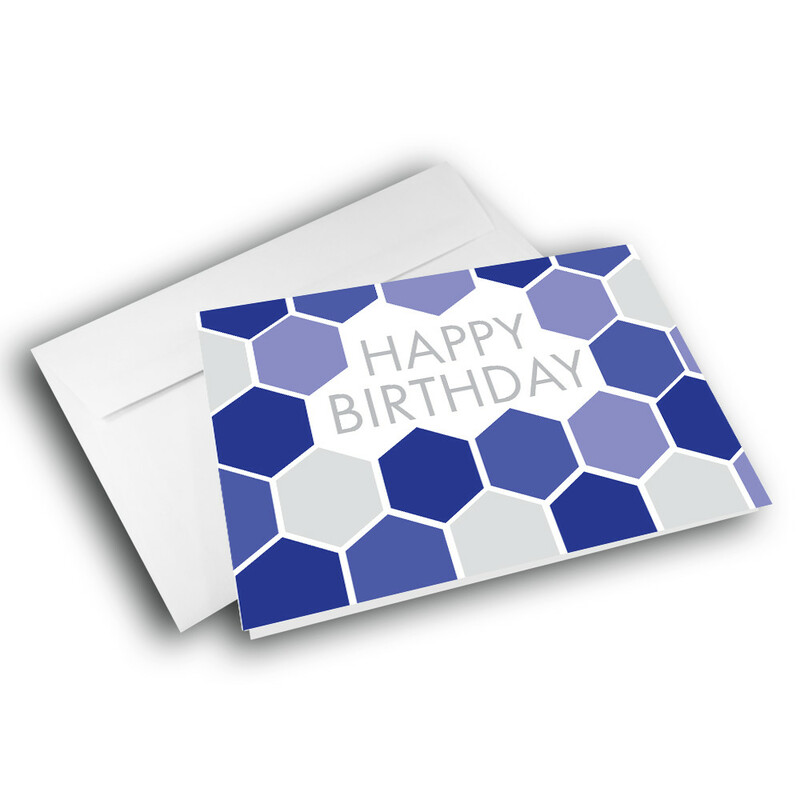 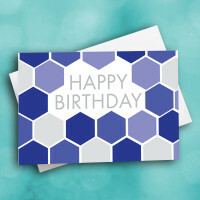 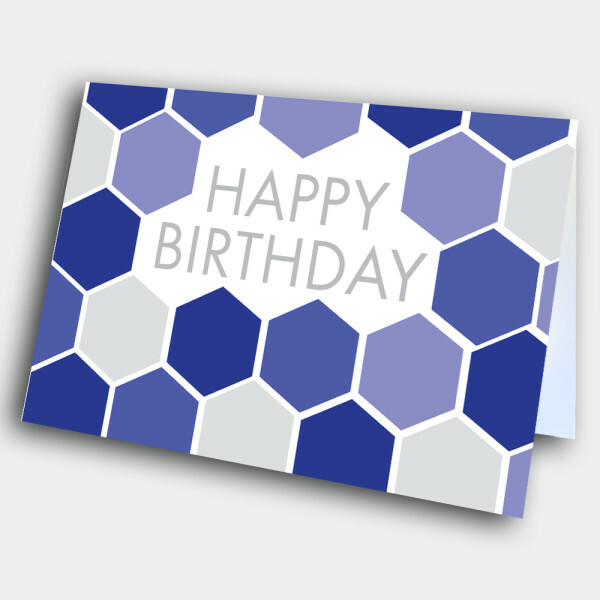 The geometric pattern covering the front is made up of multiple hexagons in varying shades of blue, all framing the birthday greetings in the center. 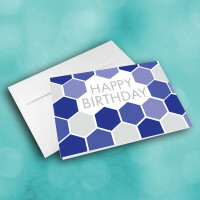 Add a customized message inside to make this birthday card unique and personalized.